Описание: Hello, my followers, this is the first version of my second project. I turn off on to lose job. 2) Fiona. You remember that she is an office cleaner. And we had a problems with her and Kelly parts of code. This version solve all conflicts and now we have separated labels for both of them. We added new point that count our meeting with Fi and block your meeting with her once again in one day. 3) The biggest addition. We created an everyday quest while you are working. It is simple clicker. The more hours you are working the more harder is difficulty of clicker. HINT: use space and mouse button. 4) Graphic improvement. Why did this version create so long ? The answer is - we completely reworked reception. We did it more friendly, warmer and nicer. You will see. It is really good. Compare and mark it. 6) Developing HR first event. We create one more repeatable part of "communication" with Mary. She wants more. You want more. We add more. (In plans - one mainplot quest with her and one of other character). 7) We added new plot-branch. It is about hero`s room and the secret of his bedroom. 8) New quest about strange bottle and new interview with Mary. 9) We added some small changes with speaking and fixed small problems with points. 10) We fixed problems with July mood and lust. 11) We working on timetables of characters and now almost 50% of it is ready. (How it works. At this moment all moving is under script control. We want to create a system of characters movement in game without dependence on main character. It will give us really full freedom from linear movings). 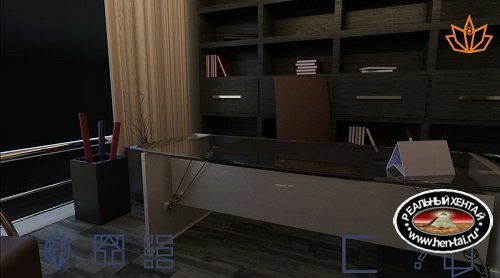 Ключевые теги к: "Office Seduction [v.0.4 FInal][2018/PC/ENG] Uncen"